Harry H. Horning has been a Financial Advisor in Manassas, Virginia for over thirty years. He holds multiple licenses in the Financial Services industry and has built a unique practice which serves the needs of his clients by providing comprehensive, objective, and direct advice. 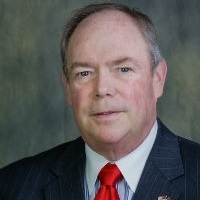 He began his career in the Financial Services industry with Metropolitan Life in 1973. In order to provide his clients with comprehensive and independent wealth management he founded Harry H. Horning Financial Services in 1978. Today, the company has a global footprint providing independent Wealth Management and Financial Services for clients throughout the United States and abroad. Harry H. Horning holds the Series 7, 24, 63, and 65 registrations. He is a General Securities Principal and Investment Advisor Representative for SagePoint Financial, Inc. He is also a licensed Life and Health Insurance Agent and a Registered Tax Preparer. Additionally, he is a licensed Mortgage Broker in the State of Virginia. Harry H. Horning was born in Easton, Pennsylvania and grew up across the Delaware River in Phillipsburg, New Jersey. Upon graduating high school he enlisted in the United States Marine Corps and served from 1970-1972. While in the Corps he was assigned to the USMC Drum and Bugle Corps, an elite unit also known as "The Commandant's Own." Harry H. Horning has served his country and community for his entire life. He has twice been elected as Lieutenant Governor for the 10 th Division of Kiwanis International. He is the current President of the Kiwanis of Manassas Foundation, past Charter President of the Manassas Battlefield Kiwanis Club, and a former trustee for the Capital District Kiwanis Foundation. He is a past Finance Officer of the American Legion Post 10 and former treasurer of the Prince William Area Free Clinic. Additionally, he is a current member and past president of the Kena Temple Shrine Band. Harry H. Horning and his wife, Susan, have a son, Harry II, daughter-in-law Kristen, and two grandchildren, Harry III (Trip) and Tucker. In his spare time he enjoys spending time with his family. As a talented musician and avid Redskins fan, he also enjoys playing his trumpet with the Washington Redskins Marching Band, an organization he has proudly been directly involved with for over 25 years.